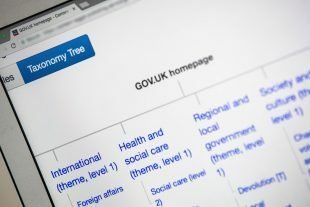 Our topic taxonomy is now live and publishers across government are tagging content to it. We know that we need to do more to make it easier for publishers to tag their content accurately. We've fed our insights into new designs for an improved interface, which will be picked up as part of a broader mission to improve the publishing workflow. This does not mean the taxonomy is finished though - it will always be growing and changing and publishers are helping us improve it. Retiring legacy taxonomies is a big part of the job to deliver a single sitewide taxonomy - the clue is in the name! We identified a little-used taxonomy for policies and policy areas, carried out extensive analysis to make sure removing them would not adversely impact users and retired them. Really pleased to see this. Is the hierarchy and taxonomy publicly available? I would also love to know more about the taxonomy.